Concrete Overlays - Pave Ahead. All rights reserved. Give your pavement a face lift. The durable choice. 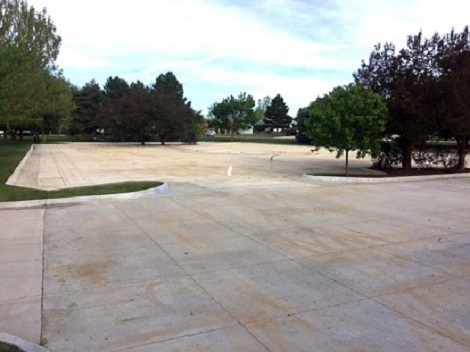 Concrete overlays provide effective long-life solutions resulting in fewer replacement and repair cycles. Reduce your energy consumption. Concrete overlays offer similar sustainable benefits to concrete pavements with high reflectivity, use of recycled materials in construction and low embodied energy. Fewer repairs. Concrete overlays are easily repaired. We could go on all day about the many benefits of concrete. Why not see for yourself? Find out how designers and contractors are paving ahead with concrete. Special Considerations: The rigid concrete pavement will provide years of service while eliminating costly asphalt seal coats and necessary "mill and fill" overlays. Check out these resources for engineers and owners. We’ve also got additional guidance on how you unleash the benefits of concrete in your next street or roadway project.